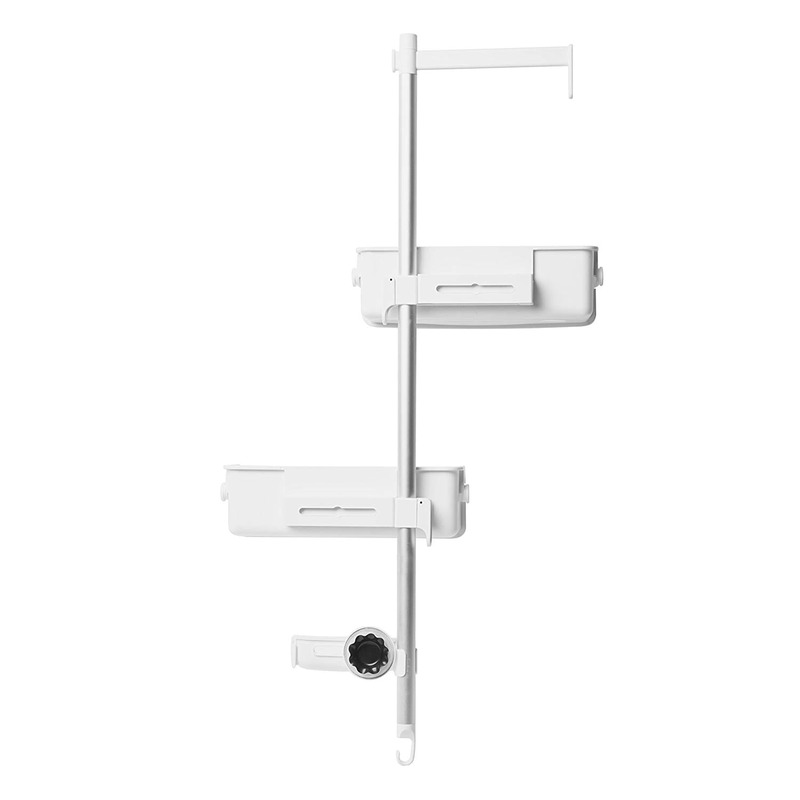 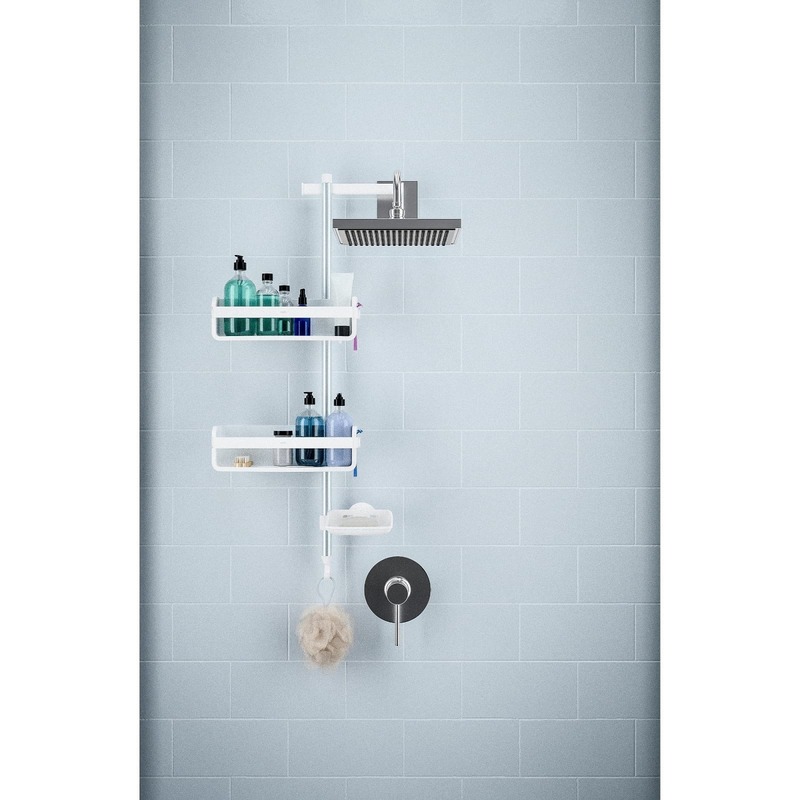 Flipside Shower Caddy by Umbra offers plenty of storage and infinite versatility, while looking incredibly stylish with its minimal shape and elegant white/aluminum color combination. 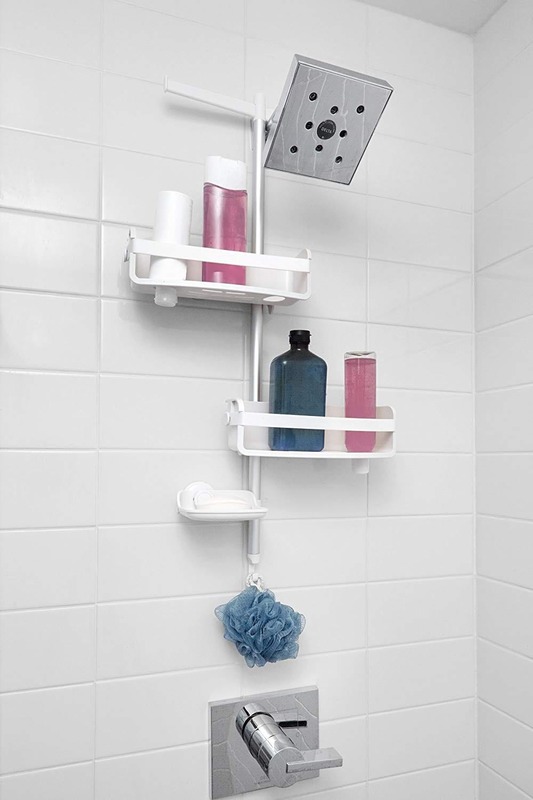 Shower caddies are great for storing all your much-needed shower supplies, but often they don't fit tall bottles, they lack stability, or they just look bad in a modern bathroom. 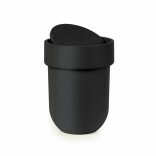 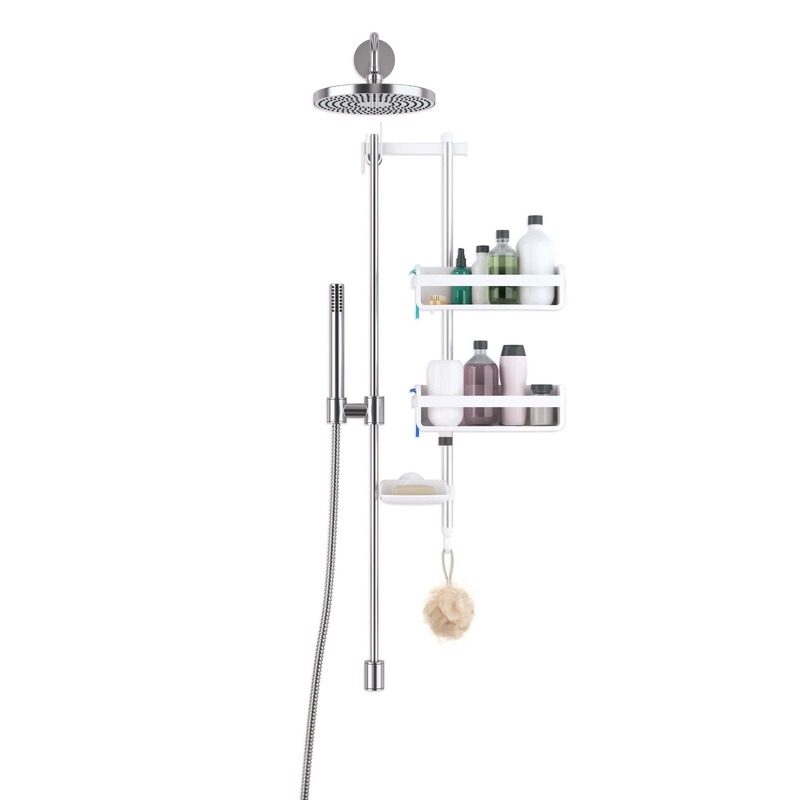 Umbra's latest shower caddy addresses all these practical shortcomings, while at the same time looking great! 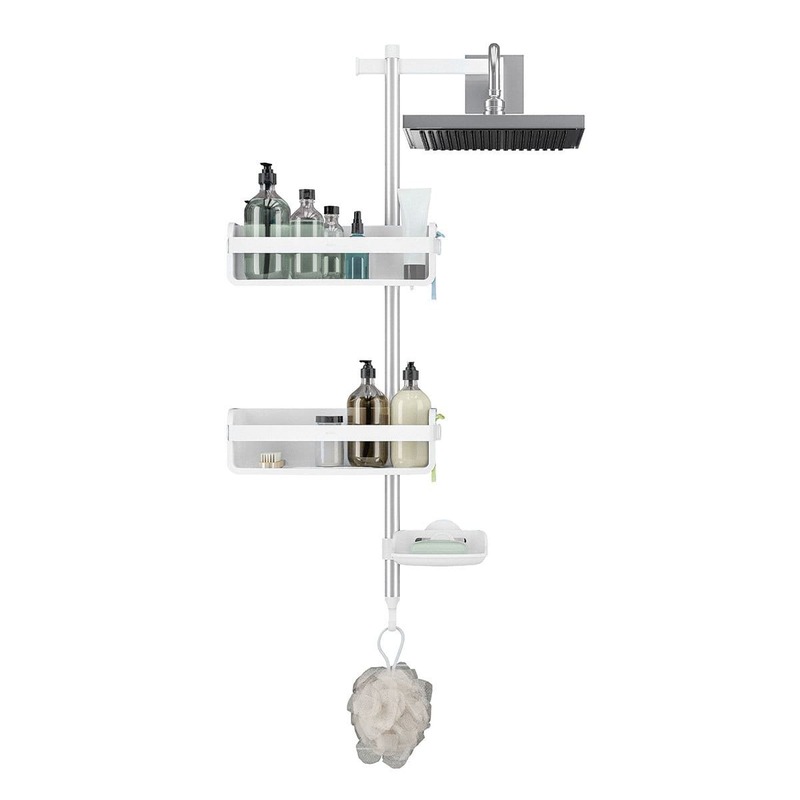 Lots of storage: Flipside offers an incredible amount of storage space thanks to its two height-adjustable shelves that store up to eight big bottles, height-adjustable soap dish, plenty of sponge hooks, and the bands on the shelves that store up to four razors. 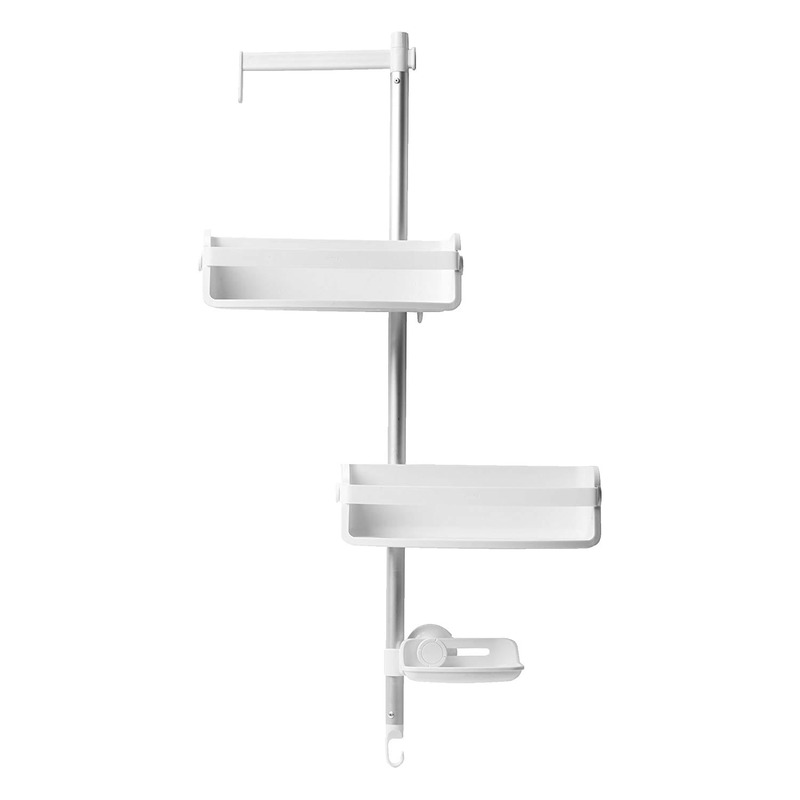 Stylish: This stylish white molded caddy has aluminum finish, and a sleek unobtrusive shape that blends perfectly in any modern bathroom. 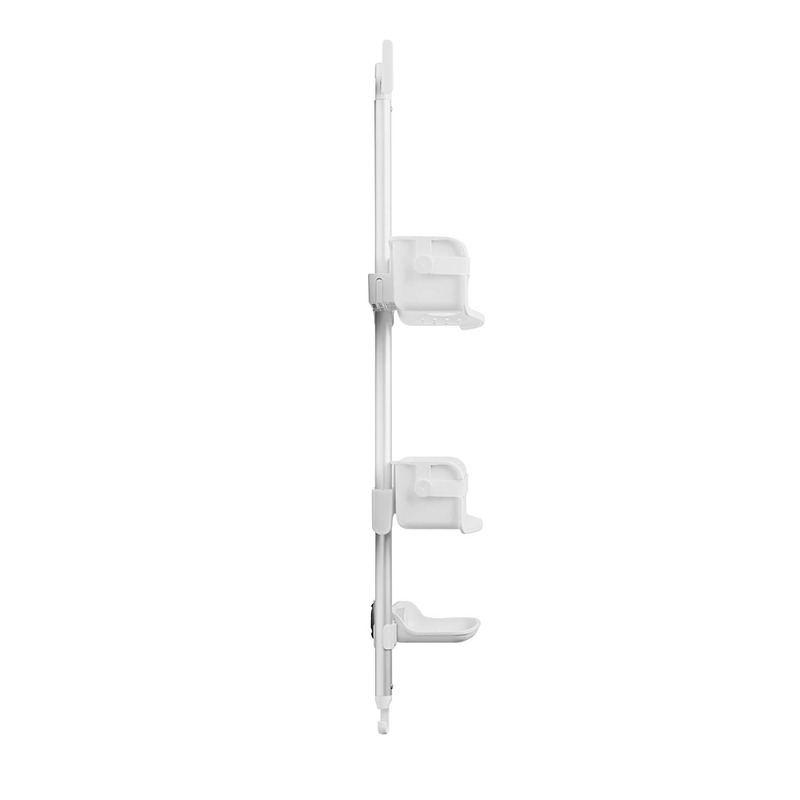 Gel-lock technology: The patented Gel Lock Technology allows you to lock the caddy's suction cup into place, activating a vacuum seal for extreme hold that lasts, adding stability to the structure. 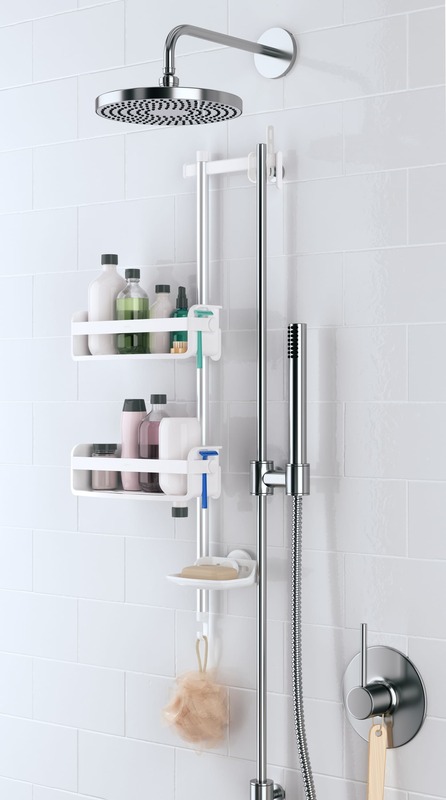 Works with regular and hand rail showers: Flipside works for both standard showers as well as rail and hand-held showers. 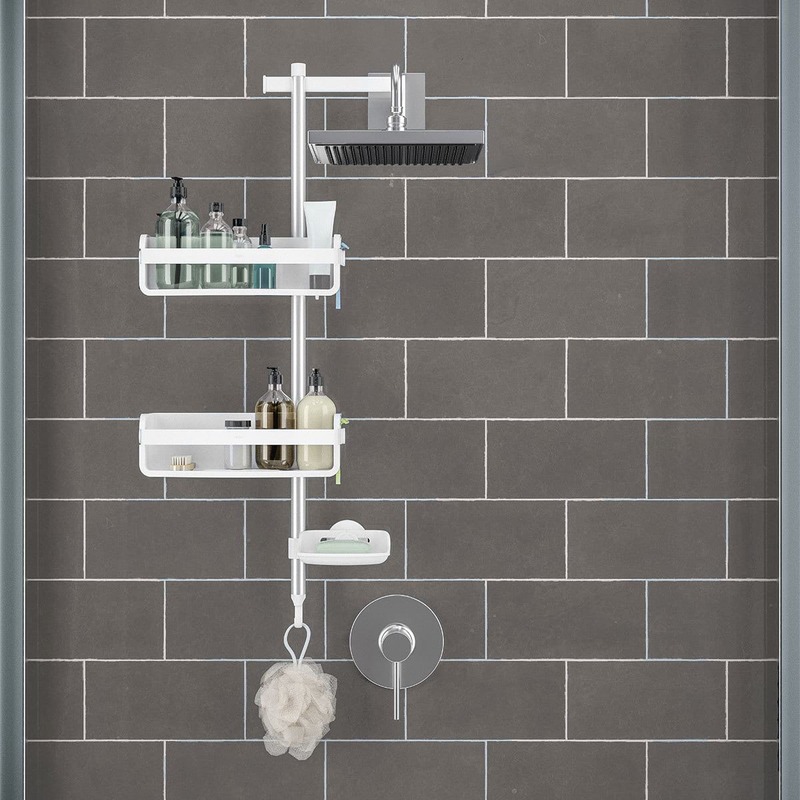 Infinite adjustability: Flipside's shelves can be flipped to the left or right side of your shower and the height of the shelves and soap dish is adjustable. 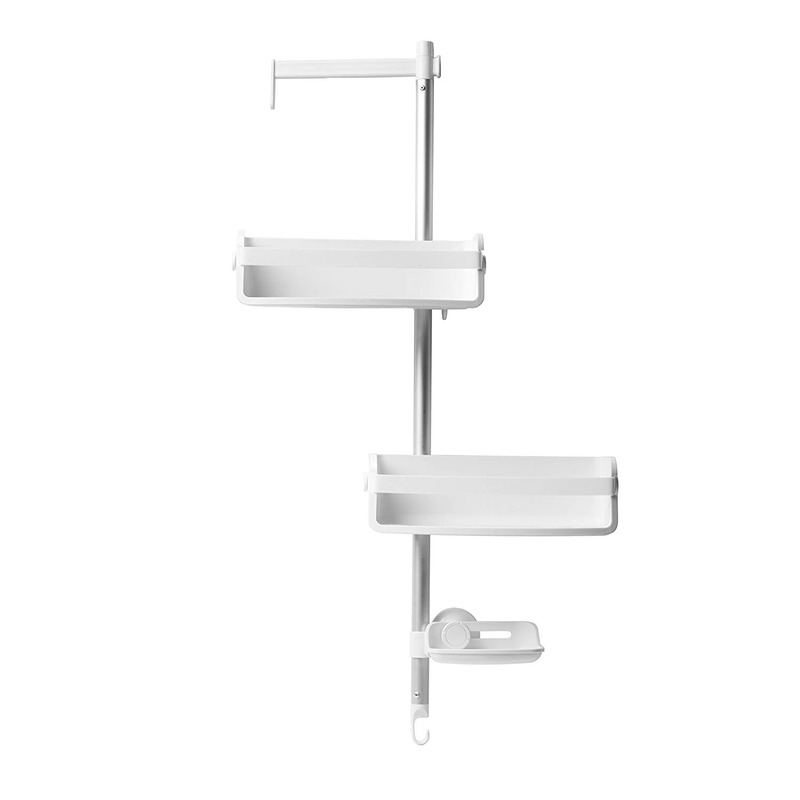 This means you can fit bottles of all heights and sizes onto the shelves by adjusting the flexible storage space to your needs. 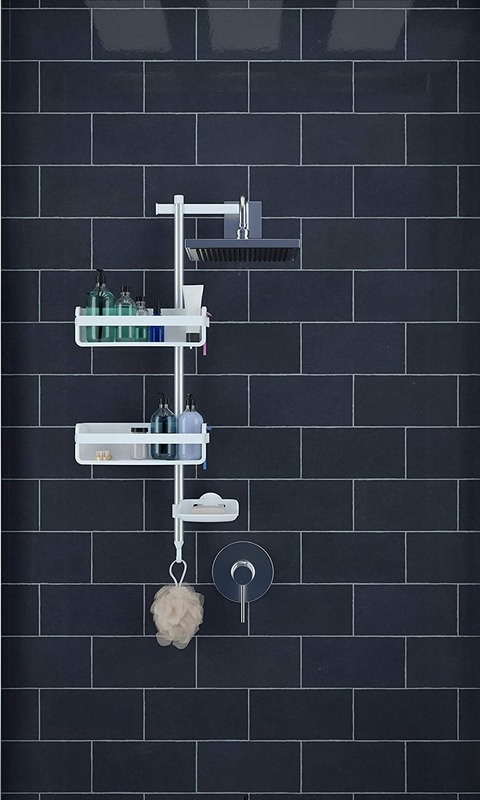 Designed by: Studio 17 Design. 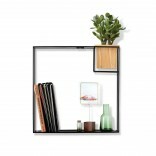 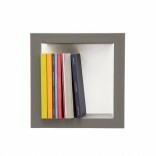 Dimensions: 74.7 x 35.2 x 11.9 cm (29 ½ x 14 x 4 ¾").